Welcome to Pins and Needles, the brand new blog of the Geoffrey Kaye Museum of Anaesthetic History. The Geoffrey Kaye Museum has been around since about 1935. It began as the personal collection of Dr Geoffrey Kaye, a Melbourne anaesthetist. He collected, traded and purchased objects he thought were important to the history of anaesthesia practice, as well as cutting some in half to reveal the inner workings of the equipment. He used these as teaching objects for medical students. The museum has changed a lot since 1935. Today we are located in the beautiful heritage-listed Ulimaroa, a house on St Kilda Road, Melbourne, which was built as a family home in 1889 – 90. 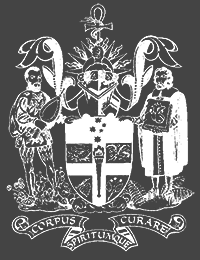 In 1992 it was purchased by the then Faculty of Anaesthetists as a site for the Australian and New Zealand College of Anaesthetists. In 2013 the museum closed for a full redevelopment and reopened in September 2014. It’s a small space, but it tells a pretty big story. The first successful public demonstration of ether anaesthesia was on 16 October 1846 at Massachusetts General Hospital in Boston. A dentist, William Thomas Green Morton used inhalational ether on Edward Gilbert Abbott so Boston surgeon, John Collins Warren, could perform painless surgery. They did this in front of a crowd of medical practitioners and students. 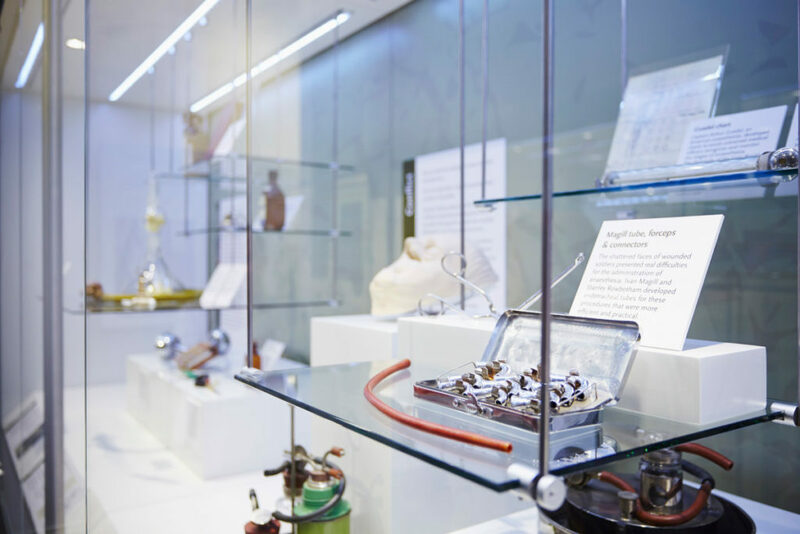 The Geoffrey Kaye Museum of Anaesthetic History remembers that history making event, and showcases over 170 years of advances in anaesthesia and pain medicine. It is also one of the largest and most diverse collections of its type in the world. Two years ago we relaunched the completely redeveloped Geoffrey Kaye Museum of Anaesthetic History. We had a new location within Australian & New Zealand College of Anaesthetists, and we had a whole new display to show off. Over the following two years we’ve worked on a host of projects and a blog gives us a great way of telling everybody what we’re doing and keeping you up to date with new projects, new research areas and our incredible collection. At any one time there are a number of different projects on the go at the museum. A blog is a great way to let you know what’s going on. It’s also means other people can become involved in what we’re doing. ­If you know what’s going on, you might even be able to help out. For a number of years we’ve been gradually uploading collection objects onto Victorian Collections, our online collection management system. This is an incredible resource, the brain child of Museums Australia (Victoria) and Museum Victoria with funding from Creative Victoria. When we put new objects on Victorian Collections, we’re going to tell you about them. There are some weird and wonderful objects in our collection, which numbers over 8,000. Sometimes we only have limited information about the objects – perhaps you can tell us more. When we redeveloped the museum we made some big decisions. There would be no such thing as a permanent display, one aspect of the museum would be changed out every year and every new display needed to have an online version. In 2015 we developed a small exhibition to commemorate the ANZAC centenary and it also became our first online exhibition. Trailblazers & Peacekeepers is a mix of historical and first-person accounts of anaesthetists and pain medicine specialists in conflict and emergency relief zones. We’re currently working on the online version of our latest exhibition, From Snake Oil to Science. We want to let you know how that one’s going too. Ari Hunter, a student from Deakin University, has been working on a series of significance assessments. She uncovered an incredible story about Ludwig Brück, who designed the Bruck Inhaler. 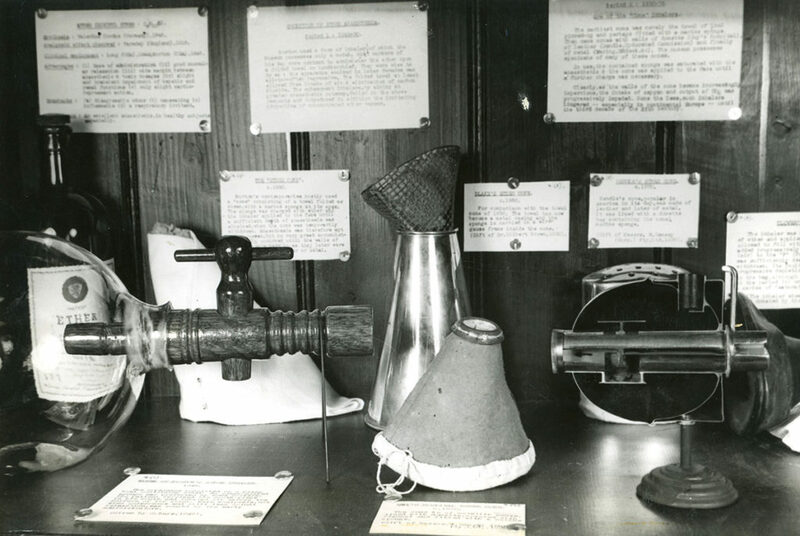 Her research helped us understand the importance of having a complete Bruck Inhaler in our collection and gave us a great insight into some of the social tensions that existed in Australia during World War I. We also like to look around at other museums and see what they’re doing. This is a place we can cherry-pick the interesting stuff and let you know too. If there’s something particular you think we should be talking about, drop us a line at museum@anzca.edu.au. The museum has a full time professional curator, along with an extraordinary Honorary Curator. The Honorary Curator, Dr Christine Ball, is a current practising anaesthetist with an amazing body of knowledge about the history and heritage of her profession. The museum is very lucky to have had her working with us for the past 25+ years. We’re pretty sure you’re going to want to know some of the stuff she knows. From time to time we’ll be having guest bloggers. Perhaps it will be one of our students telling us about their project and how the practical work in a museum fits in with their formal studies. It may be the curator from another museum visiting and sharing their thoughts, a medical historian or perhaps an artist finding inspiration from the collection and the stories. We’re pretty open to the idea that once people visit, they’ll want to tell you about it and this seems like a good forum for that. We’ll be updating this blog fairly regularly but we don’t want to inundate your inbox, so you can subscribe and get a regular update emailed directly to you. You can also unsubscribe at any time. It’s not a life-long commitment, although it would be great if you stayed. You can follow us on Twitter as well. We’ll let you know when a new post is available, tweeting with a link. Twitter is another place you’ll be able to see some of the projects we’re working on and interesting projects from other museums we’re following.